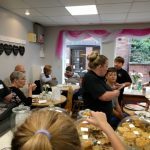 Little Bettys Cafe was opened on 17th September 2016. 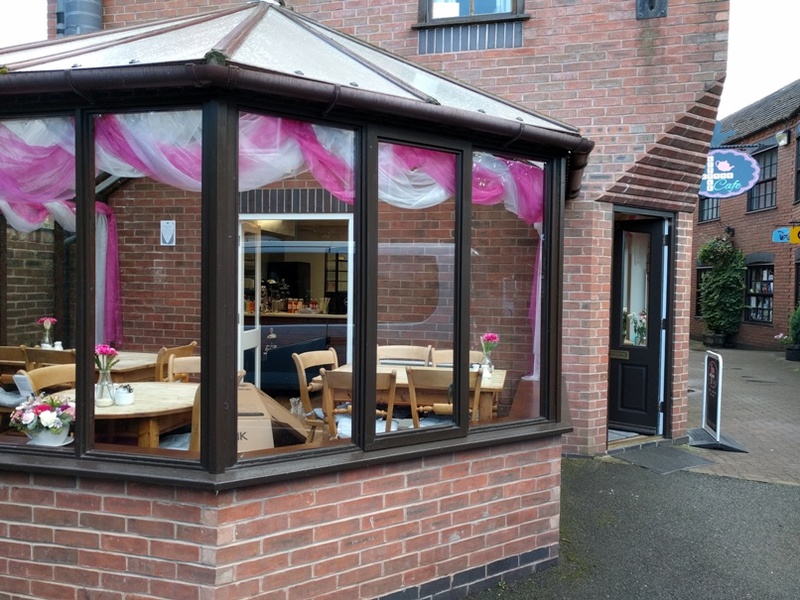 It’s a small, friendly cafe situated in The Pass Courtyard, Ashby de la Zouch, just off Market Street. Ashby itself is a pretty little market town in the heart of the National Forest, Leicestershire. 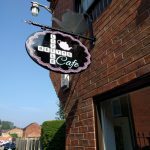 Little Bettys Cafe is owned by Rachael Hubbard and Jason King. Rachael runs the cafe day to day and does most of the cooking and baking as well as everything else. Jason runs the website, social media and occasionally the barista coffee machine. Our friendly staff include Anna, Carole and Lydia but we often enlist the help of other friends when we’re busy. 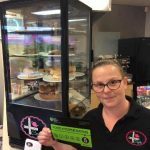 We sell a varied range of cakes, cookies and scones as well as breakfasts, jacket potatoes, omelettes, sandwiches, rolls and drinks. We pride ourselves on our coffee which includes lattes, cappuccinos, mochas and hot chocolates. See Our Latest Menu for more up to date details of what’s on offer. If you purchase one of our very popular filter coffees you can enjoy free refills during your visit and also take advantage of our tea/coffee loyalty cards. You buy ten and you get one free! Our daily special board includes some great combined food and drink offers, but we highly recommend our ham egg and chips as this is one of our most popular specials board dishes. 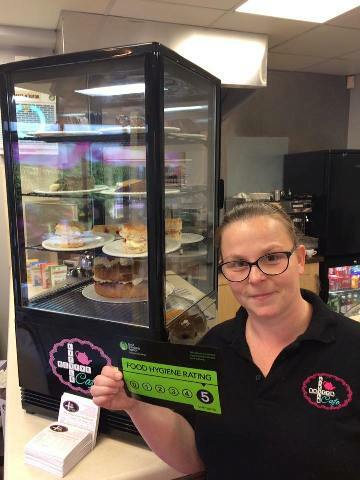 On the 4th of October, just a few weeks after opening we achieved a 5 Star Food Hygiene Rating which Rachael, myself and the staff are naturally really pleased about. 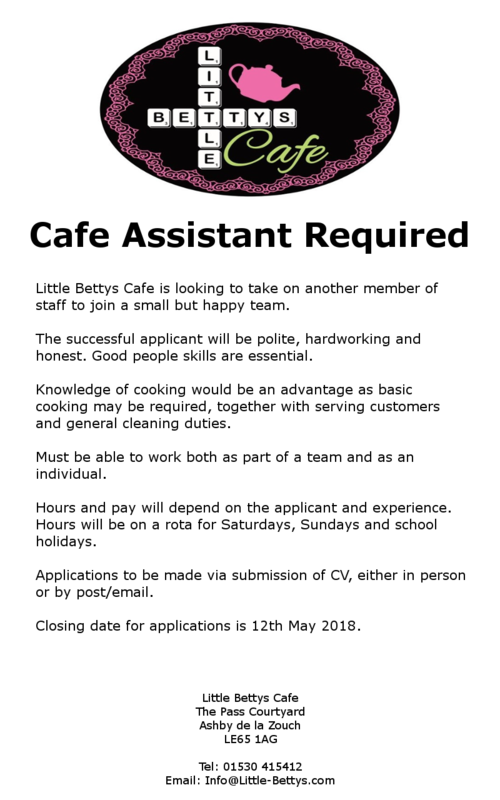 Little Bettys cafe is quickly developing a reputation for it’s friendly atmosphere, as well as it’s great food and drink. 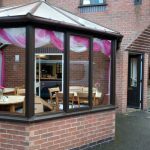 When you visit us you can choose to be seated in our main cafe area or our chilled out conservatory. We’ll soon be offering an outside seating area too, as even in the chilly winter months ahead this will enable smokers and dog walkers to enjoy our warm food and drink as well as out warm welcome. 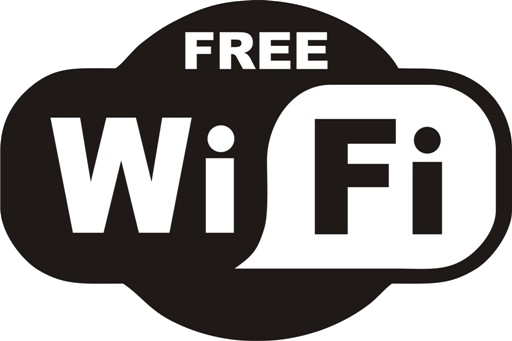 For those of you who like to use your smartphones, tablets or laptops for either work or play we now offer free WiFi throughout the cafe. 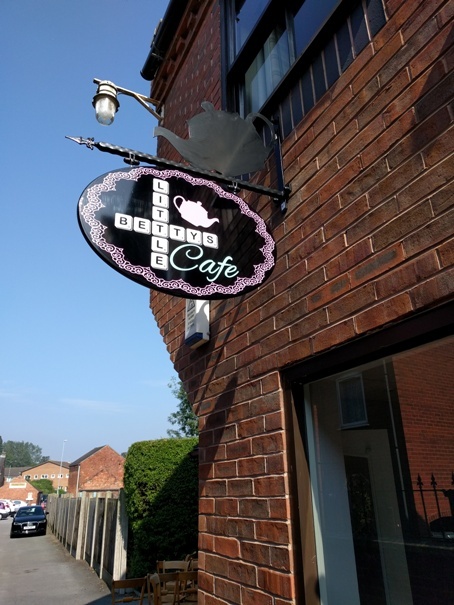 Just locate the ‘Little Bettys’ connection on your device and ask a member of staff for the WiFi password. 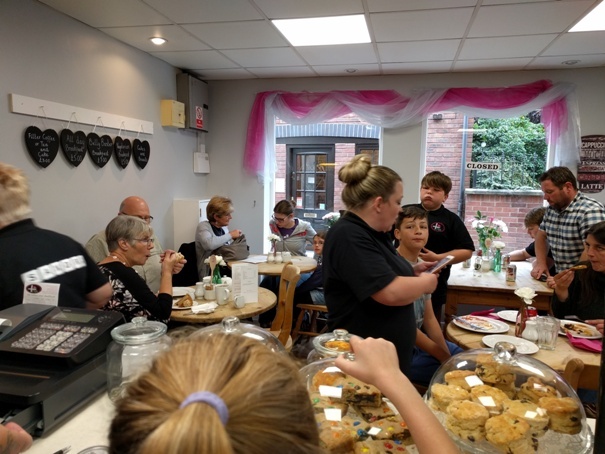 The connection has recently been upgraded and the router relocated to make the connection even faster and more reliable anywhere in the cafe. Keep an eye on our website and Like Our Facebook Page to stay informed about upcoming events, including quiz nights, Halloween themes and Christmas specials. 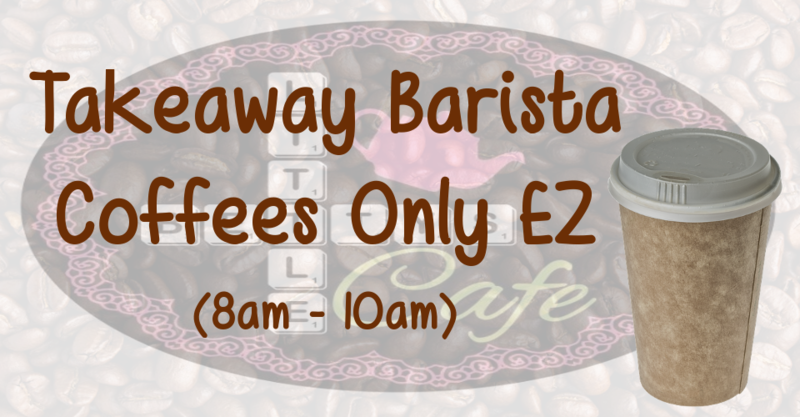 Takeaway coffees are now only £2 between 8am and 10am every day, so why not pop in on the way to work and wake up in style? 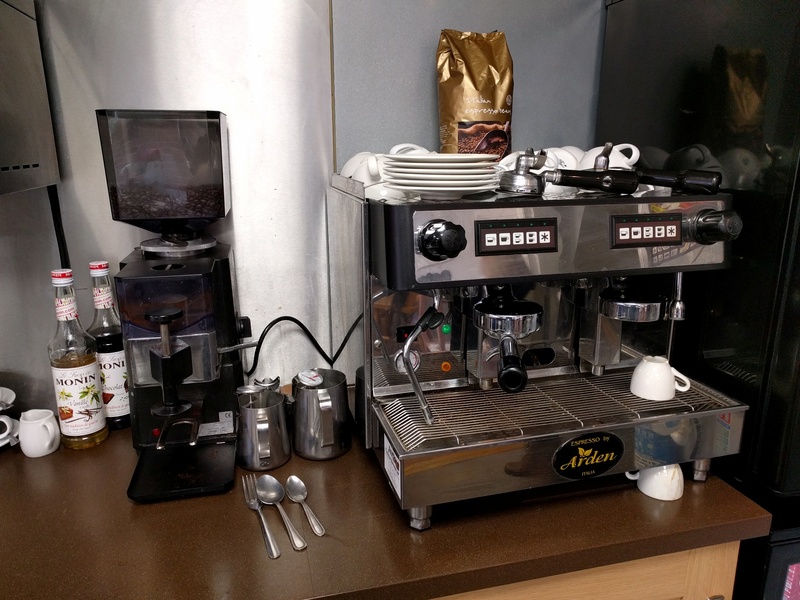 We serve real barista coffee, with freshly ground beans, espresso and steamed/frothed milk. We can make you Latte, Cappuccino, Mocha and Hot Chocolate just the way you like them. We also serve fresh filter coffee with FREE refills!